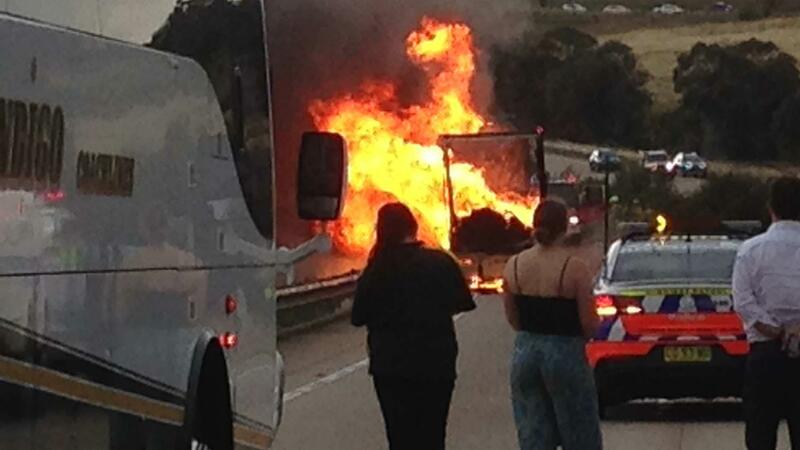 A B-double truck carrying aerosol cans has erupted in flames on the Hume Highway at Yass north of Canberra, backing up traffic as further explosions ignited inside the truck. 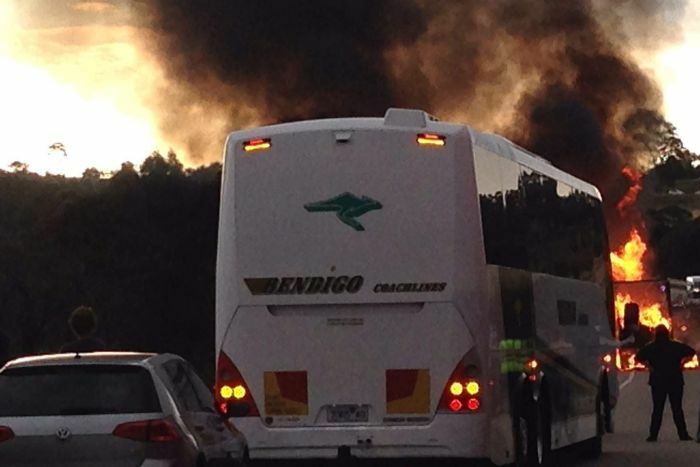 The fire was reported shortly before 6:00pm near the Yass bypass on the highway, which connects Sydney and Melbourne. Police said officers were on the scene managing traffic, and said it appeared the truck was carrying aerosol cans. Witness Herman van de Brug said “every now and again” there was a fresh explosion inside the truck, pushing more black smoke into the air. “There’s quite a number of explosions with big plumes of smoke and fire, but no-one’s going past,” he said. A spokesman for NSW Fire and Rescue said the fire spread to grass nearby, and that fire crews were working with the NSW Rural Fire Service (RFS) to contain the grass fires. He said the B-double truck was carrying a mixed load including aerosol cans. The RFS said no injuries had been reported, and that motorists should avoid the area and allow extra travel time. The fire was contained by 7:40pm, according to an RFS Facebook post, but crews remained on scene to mop up.